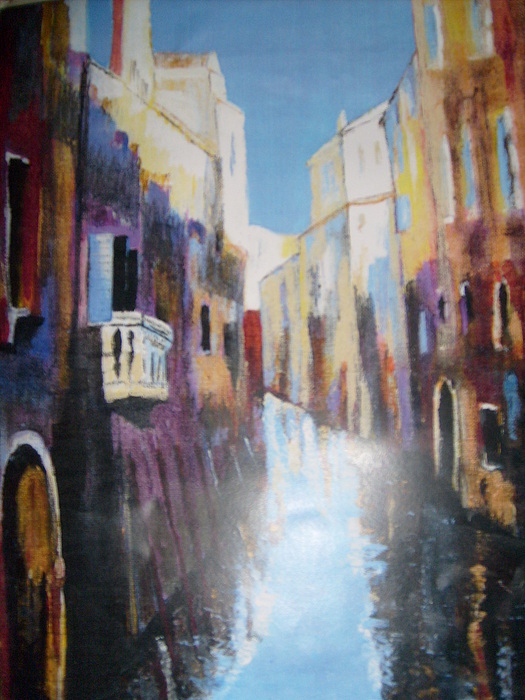 Venice Canal is a painting by Deirdre McNamara which was uploaded on January 15th, 2010. This is a print of my original painting which I sold last year love the colours. and the beautiful city OF Venice. Well done, Deirdre! Excellent work, I love it! Beautiful work Deidre, may you always paint with all your soul! Beautiful painting !!! I like the reflection in the water. Hi Deirdre You have talent and beautiful art work too keep up doing it . Thank you for your kind comment please sty in touch . A LOVELY PAINTING OF THE VENICE CANAL!! GREAT DETAIL AND LOVELY COLORS!! YOUR A WONDERFUL ARTIST! !